It’s been said that a CRE investment partnership requires two types of people: someone with capital and someone with the knowledge to put that capital to work. It’s also been said that these investment partnerships can be more difficult to nurture and maintain than a marriage. Nevertheless, a successful CRE investment partnership isn’t impossible. In fact, there are many successful examples. When comparing those that work and those that fail, a framework appears – one that will guide your next move. 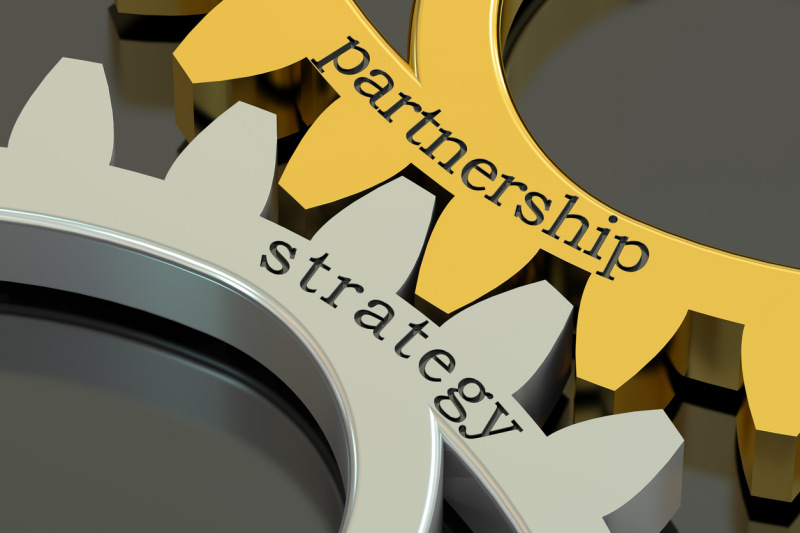 When people enter a partnership, it’s because it makes sense for two or more parties to pool resources for the mutual benefit of all involved. In CRE, though, risks and rewards are higher – each decision is not only important, it can potentially be contentious. In 50-50 partnerships, disagreements can lead to no decisions at all and, as a result, place the venture in jeopardy before it even had a chance. An option for a 50-50 relationship is a real estate limited partnership (LP), as opposed to a general partnership. One individual is the general partner who is responsible for the day-to-day decisions, whereas the limited partner is a passive investor. Before meeting with potential partners, understand your own objectives for wanting to invest in a commercial venture. What is your ideal rate of return and how much margin of error has been built into the investment from a break-even perspective? Is it a long-term investment that is intended to generate income for decades? Or is it a mid-term project that ends in a lucrative sale? Essentially, what is the exit strategy? With your own answers to these questions, you can better assess potential partners and join with those who share your strategy. This is perhaps one of the most important things to consider, and the most difficult. It’s also one of the main reasons to remain grounded and not get carried away with the excitement of the partnership. Simply stated, markets change and life happens – so it’s critical to have an exit strategy for yourself and/or your partner. Whatever is decided should be in writing so all parties are protected. This is common sense, but it bears emphasis: If you are the person in charge of making decisions, you will be the one spending other people’s money. It’s imperative to be more frugal with your partner’s money than you are with your own. If you are making operational decisions or advocating a certain strategy, this strict fiduciary duty must guide everything you do. Part of being fair is transparency. It means consulting with partners – even the silent kind – on really big decisions, as well as informing them of what’s happening with the project. Is a tenant moving out? Is there a fantastic tenant on the horizon? Is a renovation or repair work in the wings? If there are questions from partners, respond immediately. Greater care in selecting partners with the same CRE objectives helps to minimize criticisms. At Morris Southeast Group, we cannot stress enough the importance the getting everything in writing. This is, after all, business. While CRE certainly has its share of risks and rewards, a written, highly-detailed contract between you and your partner(s) is a necessary tool to help offset risks and disagreements while increasing rewards. For a free consultation or to learn more about our CRE investment opportunities or other services, call Morris Southeast Group at 954.474.1776. You can also reach Ken Morris directly at 954.240.4400 or via email at kenmorris@morrissegroup.com. One of the greatest thrills for South Florida city drivers these days is to find available parking, whether it’s in front of a specific destination or in a convenient garage. That gift, though, is becoming fewer and farther between, which is why so many commercial and corporate locations provide valet services. Drivers and passengers get to walk a short distance, while valets run all over the city to park and retrieve automobiles. A headache, yes, but it’s a way of life that many urban dwellers have come to begrudgingly accept. Parking is a pain – but parking as we’ve always known it is in the throes of an evolution that’s connected to technology. Parking first became an issue in 1908, when Ford’s Model-T was introduced. Ten years later, the first multi-story parking garage was built at the La Salle Hotel in Chicago. Ever since American drivers in many urban areas have been driving around in circles to find an available space. Changing attitudes toward cars, technology, start-ups, and competition are coming together to move the parking industry into the 21st century. For the first time, ideas once considered fantastical are becoming a reality. When it comes to car ownership, Millennials and Generation Z-ers have mixed feelings. Many workers in this age bracket tend to work from locations outside of a traditional office, and fewer of them own cars. Rather than owning, they would much rather use public transportation or walk. At the same time, driverless cars and driving services such as Lyft and Uber are cutting into garage usage. Nevertheless, car ownership overall is on the rise– particularly in South Florida, where development is surging, walkable downtown areas are still catching up to the times, and public transportation is sparse compared to other urban areas. It was only a matter of time before driverless car technology would lead to driverless parking opportunities. As automakers continue to move forward with automated technologies, they are already testing smart garage capabilities in markets around the country, with cars dropping passengers off and then driving and communicating with a nearby garage. With improved and more commonplace car and garage technologies, parking garage footprints will become smaller. Cars will be parked more efficiently. With driverless capabilities and stacking, parking spaces will be narrower. As parking becomes more efficient, there will be less carbon emission. Through the use of embedded hardware in parking spaces, drivers will be alerted (either through apps or signage) of available spaces to curb driving in circles. To see such a system in action, visit the parking garage at Fort Lauderdale-Hollywood International Airport. 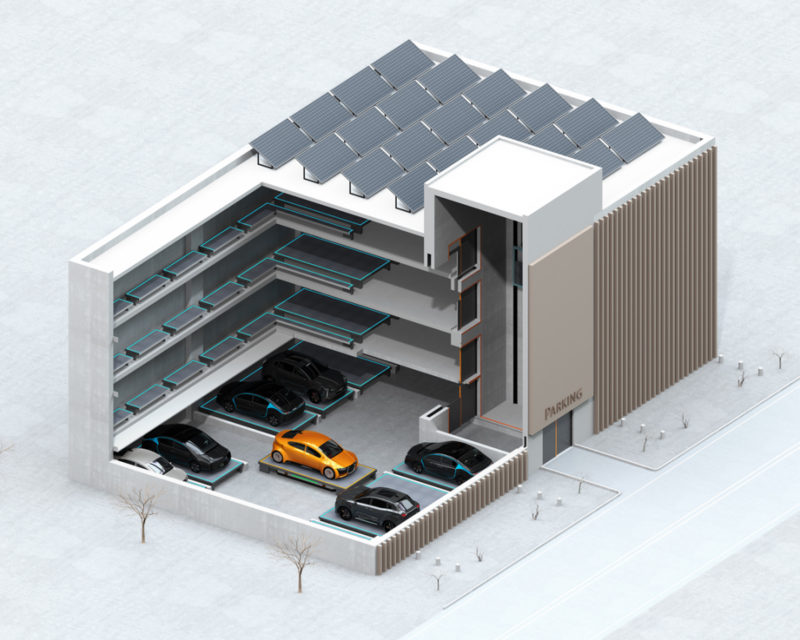 Carbon emissions are further reduced as some garages move cars via automated platforms. Because of driverless parking capability, there is enhanced security for vehicles. There will be no way for pedestrians or thieves to get near parked cars. No one ever said that evolution was easy. Sometimes, there are setbacks and unforeseen issues. Such is the case with BrickellHouse in Miami, where the promise of the city’s first fully-automated garage fell victim to the human glitch. There, developers and the technology failed to realize rush hour surge in car retrieval – resulting in residents reportedly waiting up to 45 minutes for their vehicles. The end result has been litigation and years of parking headaches. At Morris Southeast Group, we believe it’s imperative for parking garages to continually evolve to meet the challenges and changes in our rapidly changing South Florida landscape. To step away from the future would be detrimental to residents, commuters, and tourists – all of whom make our cities come to life. For a free consultation or to learn more about our property investment opportunities and/or other commercial real estate services, call Morris Southeast Group at 954.474.1776. You can also reach Ken Morris directly at 954.240.4400 or via email at kenmorris@morrissegroup.com. For anyone who has sat in South Florida traffic, it may seem there is no more land left to develop. Even from the air, the limitations are clearly defined by the expanse of the Everglades to the west and the Atlantic Ocean to the east. South Florida, it might seem, has been fully developed from sea of grass to shining sea. Not so fast, say many developers, investors, and municipalities. There are, in fact, many South Florida locations jockeying to take their rightful place on the list of the region’s emerging neighborhoods. Allapattah, one of Miami’s oldest and most industrial neighborhoods, is coming into its own as prices and buildings rise in neighboring Wynwood. Full of existing warehouses, the area is reminiscent of New York’s Meatpacking District or Chicago’s West Loop. While some developers have already seized on affordable opportunities there and the Rubell Family Art Collection Museum has announced its move from Wynwood to Allapattah, there are still deals to be found. Spurring further development is the fact that Allapattah is adjacent to some of Miami’s biggest employers who will be able to enjoy new retail and dining opportunities as they commute between work and home. In addition, the neighborhood sits on higher ground – and that is a big deal for developers and investors concerned about sea level rise. With Miami the perpetual jewel of South Florida, Hollywood in the throes of a renaissance, and Fort Lauderdale moving up, it seems only natural for Pompano Beach to make its mark on the real estate market. The centerpiece of the city’s aspirations is the Innovation District, an idea that has been decades in the making. The location, underused acreage along Atlantic Boulevard, will be home to 750,000 square feet of office space, 16,500 square feet of retail space, 35,000 square feet of restaurants, 1,500 residential units, two hotels with a combined 420 rooms, and cultural arts venues. Tying it all together will be a system of self-contained, self-circulating waterways – a sort of Amsterdam with palms. Along the beachfront, the city also plans to develop the pier with the Pompano Beach Fishing Village, featuring two restaurants, retail space, and a Hilton hotel. If South Florida neighborhoods want to revitalize, it seems a good first step is to invite artists. Such is the case with Boynton Beach. Located between the high-end homes and retail centers of Boca and the entertainment and dining mecca that is Delray’s Atlantic Avenue, Boynton Beach needed to do something to make itself unique from its neighbors. The city needed to look no further than artists who had been priced out of Miami. As a result, the Boynton Beach Art District was born and now features studios, galleries, murals, monthly events, and breweries. With this success, investors have noticed the area’s eastside, where there is a wealth of developable real estate along Federal Highway. South Middle River: This pocket neighborhood, just north of downtown Fort Lauderdale, is one of many small residential areas that suffered during the recession and are making a comeback. A stone’s throw from booming Wilton Manors and Flagler Village, South Middle River provides residents with the same entertainment, shopping, and nightlife opportunities as people living in those more expensive locations – but without the bank-breaking cost. It also helps that it’s within walking distance to pedestrian-popular NE 13th Street. East Edgewater: Once upon a time, this neighborhood north of downtown Miami was a shining star on Biscayne Bay. As other Miami neighborhoods developed, though, East Edgewater faded with neglect. That’s all changing, as more and more buyers are searching for luxury waterfront accommodations that do not carry the hefty price tags found in Miami and Miami Beach. Little Havana: For this iconic South Florida neighborhood, the draw is location, location, location. Close to downtown Miami and Miami Beach, Little Havana in a perfect spot for those wanting to enjoy city life without the high rents in neighboring Brickell. The trick, though, will be for new growth and planned projects to not erase the cultural flavor that defines the Calle Ocho vibe. 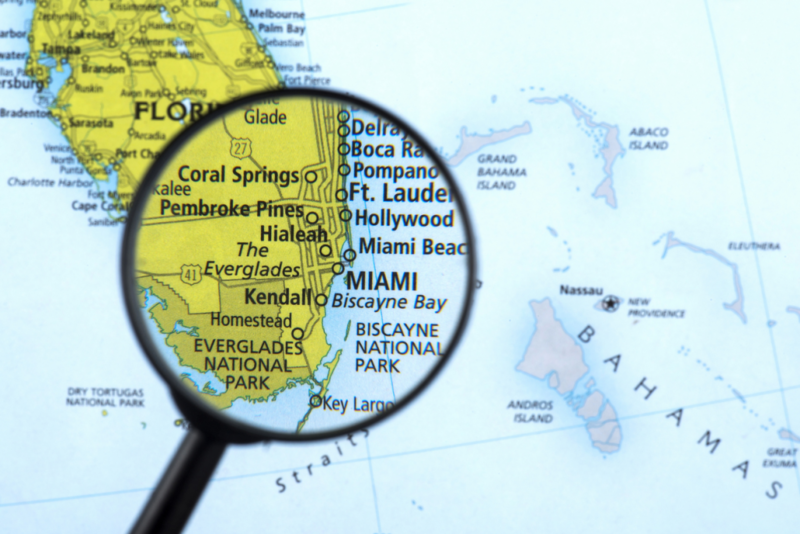 At Morris Southeast Group, we believe that South Florida’s opportunities cannot be limited by the region’s Atlantic and Everglades boundaries. In our view, there are gems around every corner – and our team of professionals can help you find the match that’s perfect for you. For a free consultation or to learn more about our property investment opportunities and/or other services, call Morris Southeast Group at 954.474.1776. You can also reach Ken Morris directly at 954.240.4400 or via email at kenmorris@morrissegroup.com.